The project has developed links with several different organisations which will help support and enhance our research. Details of some of our partners can be found here and we hope to add more in the future. The Roman town of Complutum (in modern day Alcalá de Henares, Spain) preserves some of the finest Roman decoration in the western empire. Our links with the Archaeological park allow us to share knowledge and expertise as well as grant us access to some beautifully well preserved, and reconstructed, late antique archaeology. Several members of the team have already had the luxury of a guided tour of the city and a behind the scenes look at some of the incredible restoration work being conducted on the wall painting and mosaic decorative schemes which have been uncovered. The Complutum team are also involved in creating 3D reconstructions of the remains and Dr Lavan has been providing advice to help the artists make the models as historically accurate as possible. Below is one of the first images from their reconstruction of a late antique law court and in the near future we will add an image from the latest version in order to demonstrate the some of the changes which have been made to improve the accuracy of the reconstruction. 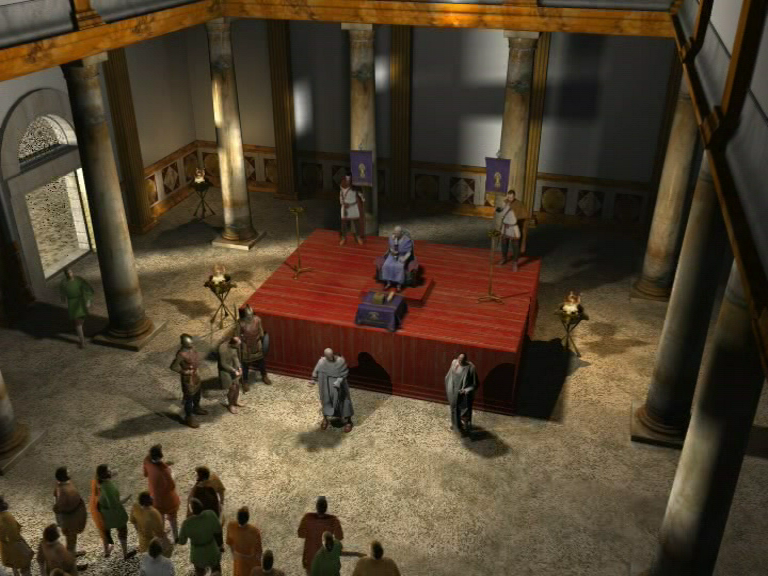 Late antique law court reconstruction created by the Complutum team. 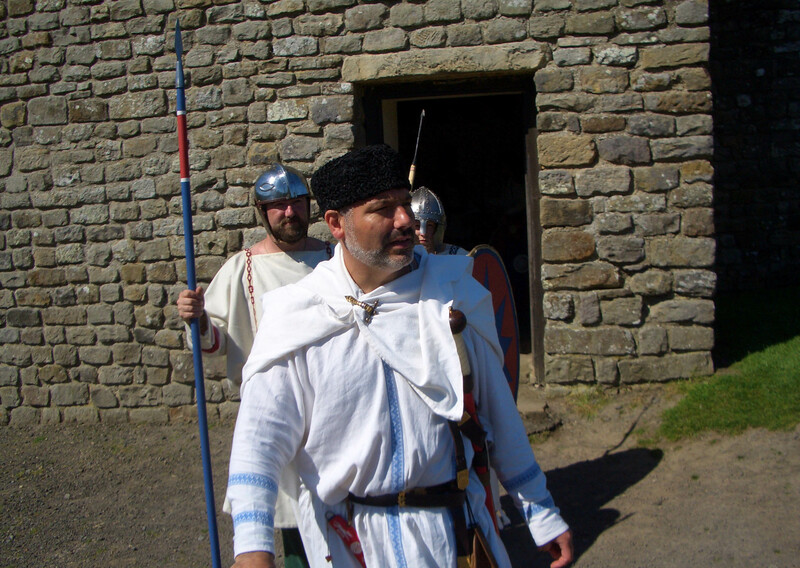 Comitatus is Britain’s leading Late Roman re-enactment group helping to set a new standard in historical authenticity. The group is actively involved in experimental archaeological research and seeks not only to faithfully recreate the material culture of the late antique period but to contribute to our knowledge of the period. By collaborating with a re-enactment group like Comitatus we get a unique insight into how late antique material culture may have been used and experienced by the people of the period. By observing the way the clothes hang, the effects of repeated use and natural wear patterns we seek to get a better understanding of the life cycle of many items which either do not survive in the archaeological record or come to us only in the last stage of their effective usage.